At Freeport Automotive we understand that having to request unexpected auto repair is never fun. It can be time consuming and painful to your checkbook. 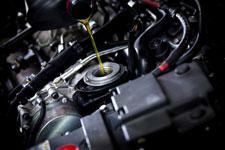 But, from time to time, services must be completed to keep your car running great. With all this in mind, we have made it a mission of ours to ensure that every customer who comes through our doors leaves satisfied and with a vehicle that is running and driving as intended. We are grateful for these customers, who have shared a bit about their experience with our team, and we hope you'll take their words into consideration when looking for honest auto repair in Sacramento. Very nice customer service and accommodation. I was served in a timely manner and charged a reasonable price. - Steve G.
Freeport Automotive treated me honest and fair and consistently demonstrated friendly customer service. I switched from my long time service provider at a dealership because Freeport Automotive has good people and I know what I'm getting and why I'm paying the amount I'm paying. I get results that I expect every time. - Valerie W.
These guys fast, thorough, and honest. I was originally quoted almost $800 for a repair but it turned out the sensor I needed was far less than they were quoted. They could have pocketed that difference but instead they saved me about 300 bucks! They just earned my business for life. - Jim B.
I took my P-30 work truck in after having the upper control arm bolt snap, the guys were able to repair the truck and have it back on the road making money within a day. Needless to say I'm happy with the work and satisfied with the price charged, I highly recommend this shop you will not be sorry! - Bobby E.
I don't have a mechanic that I normally go to. I only had a minor problem which they fixed within half an hour. I was in and out quickly with excellent service and one flat rate for labor. I will definitely come back here in the future! - Ellie A. Best and most trustworthy repair shop! Been going to Freeport Automotive since 2011. They are honest and don't over charge for their services, which is hard to find in an automotive repair shop. Being a single female I've been taken advantage of at other shops, but at Freeport I always feel like I'm getting pure truth for the needed repairs. The repairs are done quick and never had any issues thereafter. - B. Z. The guys here are great. They really worked with me on all the work I needed do. - William S. Honest!!!! No rip-offs. I have taken my car there several times and know that when I do I'll get a good, fair and honest evaluation and the repairs will be completed expertly. - Renee Z. They make me feel like I'm not just another customer and I really appreciate that. They always go out of their way to make sure I'm happy with their work and that is how it's supposed to be. - Sean G.
When it is time for auto repair in Sacramento, take these folks word and give Freeport Automotive a call at (916) 389-2405. You'll be treated to honest, trustworthy auto repair and maintenance! We look forward to helping you keep your car running great.